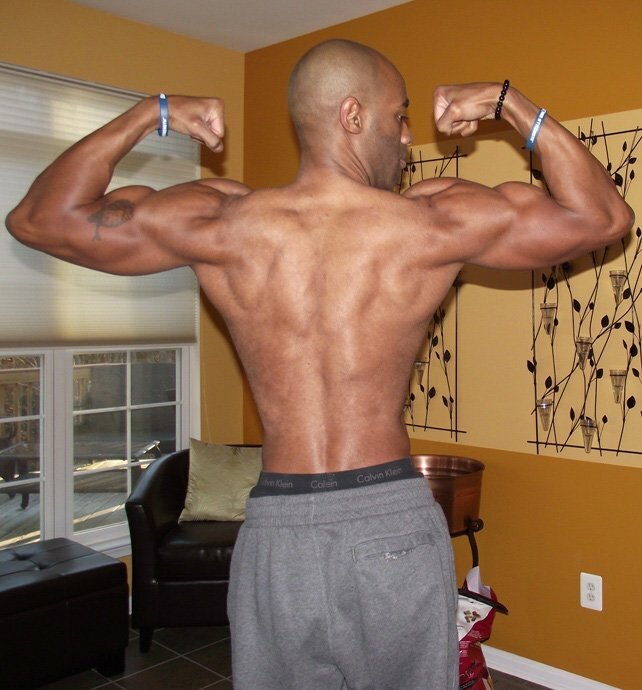 Regie found joy in bodybuilding as a boy in his grandma's basement, but it waned with age. When he re-discovered fitness, he found his abs again! My first experience with weight training started with a plastic, sand-filled weight set in my grandmother's basement when I was a kid. The weight set, which belonged to my uncles, had been left in a corner to collect dust for years until I came along to hoist them into the air. My early experience with weight training netted me little results—other than sore arms from biceps curls—but foreshadowed a lot! It wasn't until much later in college then again in my 30s that I revisited my old love—the iron! My recommitment actually started with a glance in the mirror—or better stated, it was the makings of a double chin (insert gasp here) that motivated me to get busy. 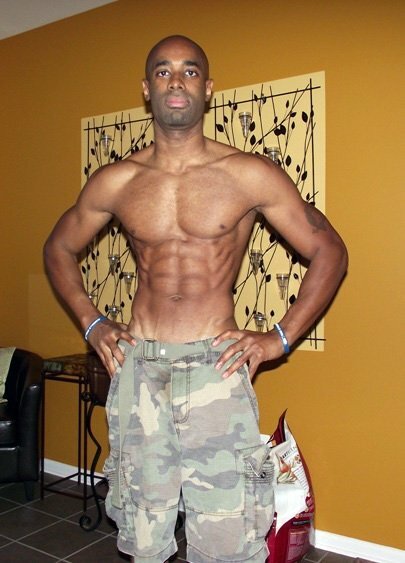 I started eating better, got serious in the gym and started running like a madman. That first summer I ended up running 261 miles and saw my abs for the first time—well since I was a kid pumping iron in my grandmother's basement. Over the last two years, I have only gone maybe two days without working out twice. So I think my consistency and dedication is what has worked best. I travel a lot for my job, so sometimes my workouts are dictated by the equipment in the local gym. Typically, I hit one or two body parts during a workout. I also hit weak body parts twice per week (i.e., back & legs). I typically perform 4-5 exercises per body part. Two or three of these exercises are "standard" and the remaining exercises are "random." I will often change the order to keep things exciting. I also play with my rep count and rest periods. I typically warm-up for ~10 minutes on a stationary bike to get the blood flowing prior to lifting—especially on leg day. I will also do cardio post-workout 2-3 times per week. I try to do abs 1-2 times per week. I've found that diet is the best way to control my mid-section and my overall conditioning. I am very particular about my diet. Just ask my co-workers, friends, family, etc. I eat 2,390 calories spread across ~7 meals during the day. I work pretty long hours so I often find myself eating my last meal after 10 p.m. My diet is pretty consistent from day-to-day. I follow a simple carb cycle—low, medium, high, medium, low, medium, low. My eighth meal is typical mixed in a bowl and frozen. It's almost like eating ice cream. I've tried a lot of supplements over the years and I've remained a big fan of Animal Flex and the Gaspari products. I'm also a big believer in pre-workout drinks. I'm currently using Beta-Cret/Con-Cret; however, I keep White Flood and 1.M.R. in heavy rotation. I don't have an artistic bone in my body, however, I feel like an artist when I'm in the gym. Bodybuilding is an artform. It's about picturing the end product in your mind then shaping your reality to conform to that mental picture. Bodybuilding is also a form of self mastery and I'm a big fan of pushing myself mentally, professionally and physically. I love being a source of inspiration to people around me. I've met people at work, in the gym and the grocery store who have told me I inspire them to eat better, go to the gym, and try harder. It's a great feeling when someone in the gym walks up and asks advice and tips. I don't want this to come off sounding cocky, but I motivate myself. I don't have the benefit of being surrounded by people who are fitness / health nuts—it would certainly make my life easier however! I'm motivated by seeing the progress in my physique. If I eat bad food because I'm traveling for work I can see the impact. If I'm hitting the gym hard—mixing up my workouts—then I can also see that positive impact. 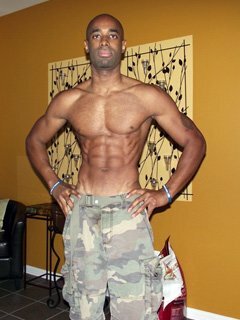 I will be competing in the Physique division of the Simmons-Peckham Powerhouse Classic on Mach 24th. I'm in the process of scheduling a photo shoot following the Classic. Maybe someone will see the pictures and let me do some modeling—hint, hint. 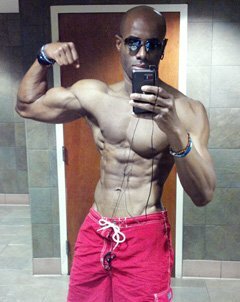 I also plan to enter a few physique competitions in southern Florida now that I have completed my relocation to the area. 2012 is going to be a good year! Believe that the impossible is possible. And, prepare your food for the day at night or on Sundays. Preparation makes a ton of difference and prevents you from making poor food choices. If you don't know how to cook then get a George Foreman Grill. George is the man! Kai Greene, Arnold (of course), Obi Obadike and Greg Plitt are some of the fitness competitors/bodybuilders who inspire me. I've watched the Kai Greene videos on Bodybuilding.com countless times. I completely changed my leg workouts because of Kai. I have to admit I'm also inspired by a number of amazing people on BodySpace. Some of them have never stood on a stage; however, they have supported me, inspired me and even called me out. I use three main sections of the website including the SuperSite, the Store and BodySpace. The videos section of the SuperSite is amazing. I've spent hours watching the various video series at home and on the stationary bike in the gym. These videos allowed me to get through some rough cardio sessions by keeping my mind occupied. The live contest coverage is also fantastic. I watched the Olympia coverage from a hotel room in San Diego and plan to watch the Arnold as of this writing. The Bodybuilding.com Store has not only saved me a ton of cash over the years but has given me access to great product-specific information. While I tend to order the same supplements over and over I like being able to compare and contrast what I'm taking with the new hot product. The free gifts, supplements and swift delivery are also major pluses in my book. As mentioned, I'm a big fan of BodySpace. 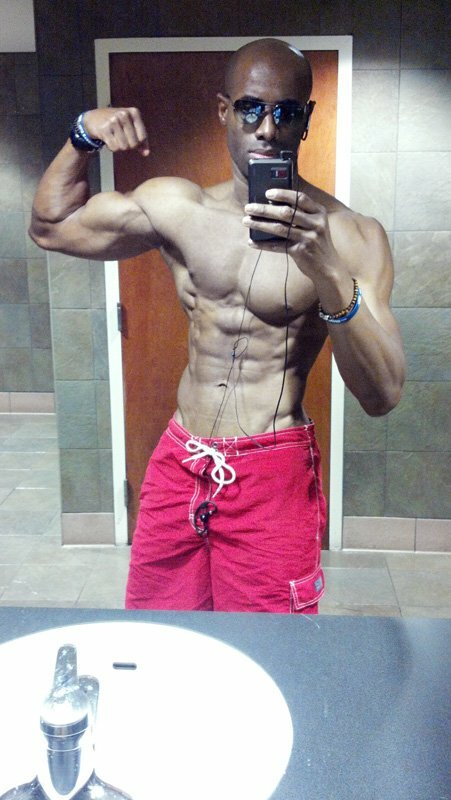 I've been able to use the site to research and gain access to various men's physique competitors. This has been a huge help to me as I prep for the Simmons-Peckman classic. Shutupnbench and SStrong have been a huge help here. I've also been inspired and supported by a number of other people including: Ms. Becca, Gwacie and the wonderful AshleyHorner.